This entry was posted in Press Releases on February 12, 2015 by Kate Davis. Opening August 25 with a Reception from 6 – 9 pm. (Washington, DC) Anacostia Arts Center and Curator Molly Ruppert are excited to bring a new group show, Cheap Thrills to Anacostia. Over 40 artists from the DC Metropolitan Area will exhibit more than 70 varied works all selling for $500 or less. On opening night, enjoy light refreshments and live music from home grown ska band Eastern Standard Time. Anacostia Arts Center is located at 1231 Good Hope Road SE. Opening Reception is Monday, August 25 from 6-9pm. FREE. The exhibition runs through October 4th. Gallery hours are Tuesday-Saturday from 11am-7pm. The exhibition is FREE and open to the public. The show’s artist roster includes Krystal Alston, Sondra Arkin, Andrew Bain, Charles Bergen, Tarra Louis Charles, Andrew Cohen, Jared Davis, Dana Ellyn, Diane English, Brian Filipowich, Yvon Fleurival, Jonathan French, Adrienne Gaither, Sherill Anne Gross, Piper Grosswendt, Alexandra Hasson, Jay Hendrick, Eve Hennessa, Ellen Hill, Aaron Hughes, Amy Hughes Braden, Lexi Jordan, Rebecca Kallem, Seth Kaplan, Melanie Kehoss, F. Steven Kijek, Yaroslav Koporulin, Larry Lairson, Zofie Lang, Jennifer Lillis, Jane Mallen, Anne Marchand, Samuel Margai, Raegan Mathis, Carolina Mayorga, Terence Nicholson, Janelle Ortiz, Dino Paxinos, Luis Peralta, Marie Ringwald, Matt Sesow, Alexandra Silverthorne, Samuel Tefcon, Gail Volrath, Alison Waldman, Angela White, and Andrew Wodzianski. Anacostia Arts Center is a project of the ARCH Development Corporation, a not-for-profit organization dedicated to creating a home for small businesses, artists, arts and cultural organizations to fulfill its commitment to the revitalization and sustainable economic development of Historic Anacostia. The Arts Center is 9,300 square feet and includes a 1,000-square-foot Black Box Theater, six galleries/boutiques, and NURISH Food + Drink. The center opened in June of 2013. This entry was posted in Press Releases on August 11, 2014 by Kate Davis. (WASHINGTON, D.C.) – Pallas Theatre Collective is delighted to present The Fall of the House of Usher: A New Musical at the Anacostia Arts Center from August 6, 2014 to August 24, 2014. Written by Molly Fox and Sarah Hirsch, The Fall of the House of Usher has been in development with Pallas Theatre Collective since March 2013. Founder and Associate Artistic Director Tracey Elaine Chessum will direct the show’s first full production in the District. Usher family that rocks the house to its foundation. diversity of American life and creativity on our stage. This entry was posted in Press Releases on July 15, 2014 by Kate Davis. 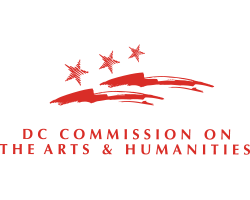 Washington, DC– ARCH Development Corporation (ADC)is pleased to announce two new programs that will continue its work to create a home for small businesses, artists, arts and cultural organizations to fulfill its commitment to the revitalization and sustainable economic development of Historic Anacostia. The Kresge Foundation Loan Fund for Artists, Art Organizations, and Hive Creative Industry Businesses will offer a total of seven different types of loans all designed to jumpstart artistic and entrepreneurial endeavors in Wards 7 and 8, and specifically Historic Anacostia. The Kresge Foundation Loan Fund for Artists, Art Organizations, and HIVE Creative Industry Businesses provides loans for two specific groups: artists and arts organizations in Wards 7 and 8, and creative entrepreneurs in Anacostia. Artists who live in Ward 7 or 8, arts organizations whose primary offices are in Ward 7 or 8, and arts organizations based west of the Anacostia River but planning an exhibition or performance in Anacostia are eligible to apply for the following loans: Bridge Loan for Artists and Arts Organizations, Benefit Loan, Performance Loan, and Anacostia Location Loans. Terms and total monies available for each grant vary, Please refer to the application for full details (available on www.archdevelopment.org). There will be a $35 fee for all loan applications for businesses and $25 fee for individual artists. The deadlines are rolling and applications are considered on a case-by-case basis. Creative entrepreneurs who already work out of The HIVE 2.0 or Anacostia Arts Center, in addition to businesses that wish to move their primary location to Anacostia, are available to apply for the following loans: Bridge Loans, Anacostia Location Loans, and Business Improvement Loans. Terms and the total monies available for each grant vary, please refer to the application for full details (available on www.archdevelopment.org). There will be a $50 fee for all loan applications. 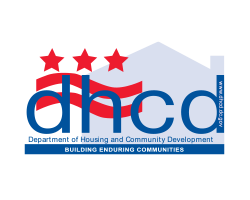 For businesses, the target area is defined as the area within the following boundaries: 1100 to 2000 blocks of Good Hope on the north; St. Elizabeth’s Hospital on the south; the Anacostia River on the west, and 20th Street SE on the East. 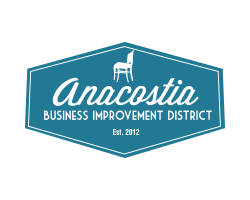 This includes the Anacostia Historic District and the newly established Anacostia Business Improvement District. The deadlines are rolling and applications are considered on a case-by-case basis. The other new offering coming from ADC this spring will be the five artist studios for rent at 2208 Martin Luther King Jr. Ave. SE. Six-month and one-year commercial leases will be offered beginning April 1, 2014, and showings can be made starting March 15, 2014. The spaces range in size from 60 square feet to 180 square feet, and will be rented for between $175-350 per month. 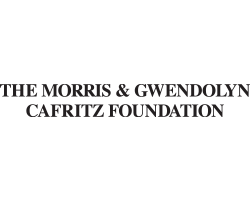 ARCH Development Corporation is grateful for the continued support of The Kresge Foundation, whose belief in our mission has made these unique programs possible. 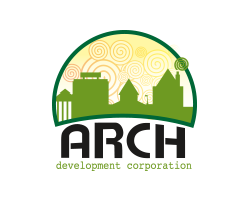 Founded in 1991, ARCH Development Corporation (ADC) is, at its core, a small neighborhood-based organization with its entire focus on the economic regeneration of the Historic Community of Anacostia in Washington, DC, using arts, cultural and the creative economy. ADC believes that properly organized facilities and development programs designed to attract artists, performing arts groups, theater companies and small businesses can serve as the engine for neighborhood economic development. ADC projects include Honfleur Gallery, Vivid Solutions Gallery, Anacostia Arts Center, The Hive 2.0, and LUMEN8Anacostia. This entry was posted in Press Releases on February 24, 2014 by Kate Davis. Washington, D.C.­—NURISH Food & Drink will host an invitation-only grand opening this Friday, February 7, introducing a French-themed café and wine bar to the historic Anacostia neighborhood. NURISH is owned by Kera Carpenter, owner of well-loved Domku Bar & Café in Petwork, and is founder of NURISH: The Center for a Creative Culinary Economy, bringing with her experience in opening alternative restaurant concepts in emerging neighborhoods. NURISH is located inside the Anacostia Arts Center upstairs from the co-working and business incubator space The Hive 2.0. NURISH Food & Drink will offer a menu which the owner describes as “French Express,” with items as terrines, verrines, cheese boards, charcuterie, whole grain salads, and baguette sandwiches. The menu offers daytime guests café fare including locally-roasted coffee, fresh baked goods, salads and sandwiches. In the evenings, NURISH adds cheese and charcuterie to the menu to accompany a list of affordable wines and beers. The opening of NURISH Food & Drink has come with strong community support, including a successful Clovest crowd-funding campaign that raised a total of $15,000 from 75 funders. Dedicated to the local community, the café will contribute 15% of its profits to its sister nonprofit, NURISH: The Center for a Creative Culinary Economy, which will operate a culinary entrepreneurship training program called NURISH: Youth, a two-week summer camp for young adults with a passion for the food business. The café will be open to the public beginning Saturday, February 8 at 10:00 a.m.
Tuesday-Thursday: 9 a.m.- 8 p.m. This entry was posted in Press Releases on February 6, 2014 by Kate Davis. (Washington, DC) Anacostia Arts Center will present a curated exhibition of DC-area quilters. Working primarily with local powerhouse quilt organizations, DC Modern Quilt Guild and Daughters of Dorcas, STITCHED DC will showcase two dozen quilts in a variety of styles and sizes around the Center’s Lounge and common areas. The exhibition runs February 15 – March 29. A public opening reception will be held on February 15 from 4 – 7 p.m. Viewing hours are Tuesday-Saturday from 11 am – 7 pm and during special events. Anacostia Arts Center is located at 1231 Good Hope Road SE. The exhibition is FREE and open to the public. This entry was posted in Press Releases on February 3, 2014 by Kate Davis. in December 2013. Jacqueline was the recipient of the 2012 NVTA One-Act Festival Award for Best Original Story, “The Preacher’s Wife.” Jacqueline also received rave reviews for “Bedlam in the Pulpit: The Jocelyn Marshall Story,” at the 2013 DC Black Theatre Festival. In that version, Jacqueline performed Bedlam as a one-woman, one-act play. Due to the overwhelming response, she decided to perform the play again, to include a larger cast. Performances are Friday, December 6th at 7pm and Saturday, December 7th at 2pm and 7pm. Tickets can be purchased at www.bedinpulpit.eventbrite.com. This entry was posted in Press Releases on September 13, 2013 by Kate Davis. This entry was posted in Press Releases and tagged dance on September 13, 2013 by Kate Davis.